A great family home with link detached living, excellent space through the additional of a modern conservatory. 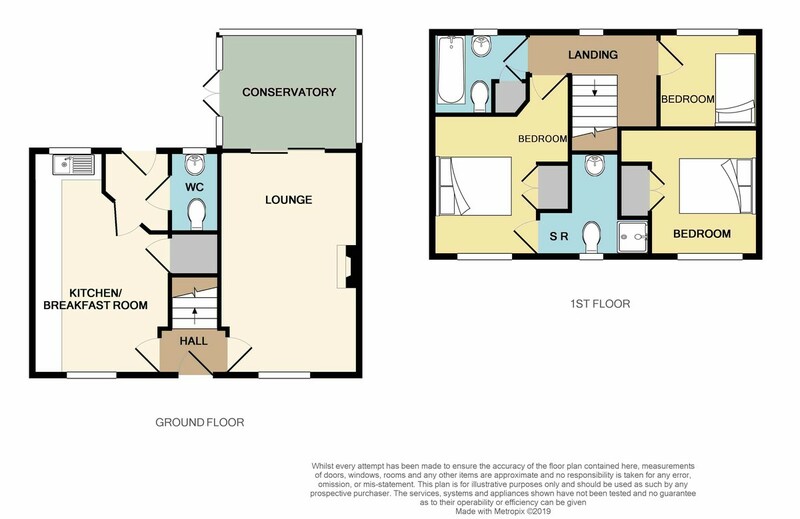 Three bedrooms, master with en-suite. Landscaped garden, garage and driveway. Situated on a no through road with superb access to schools and local superstore, also good access to town center and Freeport railway station. This is a great family home with well proportioned rooms, creating an accommodating dwelling with flexible living. The addition of a conservatory to the rear of the property offers up superb extra space. A modern kitchen diner is perfect for family meal time or for entertaining friends. A rear lobby connects to the rear garden, off of this there is a down stairs WC that completes the ground floor. To the first floor there are two double bedrooms and a single. A family bathroom serves two of the bedrooms, whilst the master enjoys the luxury of having its own en-suite shower room. Outside there is a landscaped rear garden that is mainly laid to lawn with a decked area and paved patio. A driveway at the side of the property leads up to a single garage with up and over door. HALLWAY Stairs to first floor, doors to lounge and kitchen diner. Multi locking door to front. LOUNGE 16' 1" x 9' 9" (4.9m x 2.97m) Double glazed patio doors to rear, textured ceiling with coving, TV and BT points. Radiator to front and radiator to side. Double glazed window to front. CONSERVATORY 9' 11" x 9' 8" (3.02m x 2.95m) Laminate flooring, French doors, low level walls. KITCHEN/DINER 16' x 10' (4.88m x 3.05m) Range of eye and base level units, roll edge worktops, inset sink and hob. Integrated dishwasher, washing machine, fridge and freezer. Vinyl floor, door to rear lobby. Radiator. Double glazed windows to front and rear. REAR LOBBY Door to rear garden, vinyl floor, radiator, door to WC. WC Vinyl floor, radiator, double glazed obscure window to rear, part tiled walls, low level WC, pedestal wash basin. LANDING Double glazed window to rear, radiator. BEDROOM 1 9' 7" x 8' 3" (2.92m x 2.51m) Built in wardrobe, double glazed window to front, door to en-suite. Radiator, textured ceiling. EN-SUITE Double glazed obscure window to front, vanity sink set in to rolled work top with storage below, radiator, low level WC, shower cubicle. BEDROOM 2 8' 10" x 7' 9" (2.69m x 2.36m) Double glazed window to front, radiator, built in wardrobe. BEDROOM 3 7' x 6' 11" (2.13m x 2.11m) Double glazed window to rear, radiator, textured ceiling. FAMILY BATHROOM Obscure double glazed window to rear, radiator, paneled bath, low level WC. Airing cupboard, pedestal wash basin.